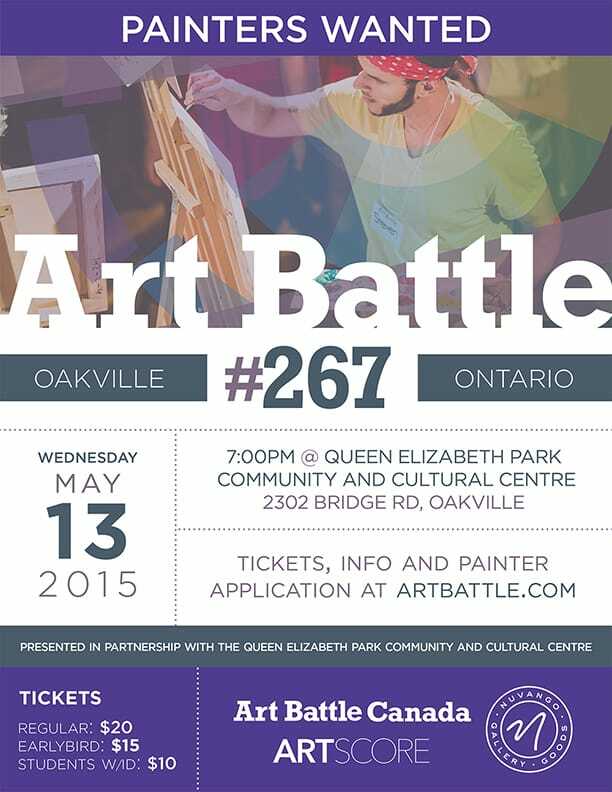 Please join us for an exciting night of live art at the Queen Elizabeth Park Community and Cultural Centre in Oakville! 12 artists compete across 3 rounds of live painting. The audience votes to determine the champion and all paintings will be available in silent auction. The winner advances to the regional finals with a chance to qualify for the 2015 National Championship.